WHAT IS THE BRAZILIAN BIKINI WAX? The Brazilian Bikini Wax removes all hair from your nether regions. You may choose to have everything taken off, or to leave a shape on the pelvic area. Most choose a vertical strip, square or a triangle. Removing hair from out of its follicle is never a comfortable experience, no matter how talented your waxer is. However, in the hands of an experienced esthetician, the process is less painful. It helps if your esthetician has prolonged experience with hair removal, especially with Brazilian waxes. Make sure they hold your skin taut. Whatever you heard about the pain factor involved in Brazilian bikini waxing, dismiss it; it’s really never that bad. Please shower before your appointment. If you can't hit the shower, there are wet wipes available in the restroom and waxing area upon your arrival. USE THEM!! Hair must be a quarter of an inch; about the the size of a grain of rice (about 10-14 days of growth) to adhere correctly to the wax. Gently exfoliate your bikini line prior to your wax. Exfoliating the skin in this area will keep ingrown hairs at bay. It’s a good idea to make a habit of this, especially if you’re prone to ingrowns. Do this the evening before your scheduled appointment. Know that it gets better. Kristen understands that first timers don’t know what to expect. Her advice is to acknowledge that the first one will be the most uncomfortable, especially if you’ve been shaving or using depilatory agents (hair removal creams) prior to it. However, it doesn’t have to be the worst thing you’ve ever done. Most of the time, people leave pleasantly surprised that their experience wasn’t nearly as bad as they expected. Every wax after the first one gets easier, especially when the hair starts growing in finer. Medicate if you must. if you’re concerned about the potential for pain, take a couple of advil 20 minutes before your appointment. Some clients feel this takes the edge off; but beware that pain killers are blood thinners and increases the likelihood of slight bleeding. WILL I BE UNCOMFORTABLE AFTER MY WAX? For those of you who are getting a Brazilian wax for the first time, I would say, probably not, but maybe so. Let’s put it this way, the coarser your hair and the more sensitive your skin, the more sensitivity you'll feel during and after the wax; mostly a tingling sensation, not much more than that. Some first-timers are not uncomfortable at all, some for an hour or so and others feel a little bit sore for a day or two. Additionally, it is important not to wear tight jeans or pants if it is your first time waxing. Hell, I suggest even going commando! And don’t do anything else that involves a lot of friction right after a wax! If need be (which I doubt will be necessary but), take a pain reliever post-wax, and then use a cool compress on the area. You won’t need to do this every time, but it may help the first time or so. Once you start waxing regularly, it will gradually get easier. HOW LONG SHOULD I WAIT AFTER SHAVING TO GET A BRAZILIAN WAX, OR A FIRST WAX IN GENERAL? Generally speaking, 9 to 14 days. Preferably speaking, 3 weeks to a month, but I know that's a big commitment and highly unlikely. If you've never waxed before and have a big event coming up, such as your wedding, a vacation with your partner, etc., I would recommend getting your first wax a couple of days before you go. Plan ahead and try to get in at least two (2) waxes before you leave. This way, the first wax, which will be the more uncomfortable one, is out of the way. After your second wax, the results will be better and you're less likely to be uncomfortable for your event. HOW LONG WILL THE RESULTS OF A BRAZILIAN WAX LAST? It depends; mainly 3-6 weeks but everyone is different. Hair grows at different rates and on different cycles. Hair that has been continuously shaven, does not grow back in one cycle. For shavers, it's likely hair will still appear days after the wax until it becomes trained. This is typically because most don't wait long enough for ALL of the hair to grow out before getting waxed. You will, however, notice that after a few waxes, your hair will start to grow in much slower and finer. (Shaved hair is much thicker, because it gets cut off at its thickest point.) Therefore, don’t have high expectations after your first wax of extremely smooth skin. This comes with time and the patience of growing all of your hair out at the same time. But believe me, it pays off. CAN I GET A BRAZILIAN WAX IF I'M ON MY PERIOD (W/ A TAMPON)? Not here you can't. Period. CAN I GET A BIKINI OR BRAZILIAN WAX IF I'M PREGNANT? Yes but preferably, a standard or full bikini wax. Please be aware that your skin is likely to be more sensitive due to pregnancy. Hormonal changes and increased blood flow contribute to sensitivity. Yes, however, only up to 6 months. Clients 7 months and further, I do not suggest Brazilians, only basic bikini waxes. Due to increased sensitivity and discomfort, it is best to avoid Brazilians. However, please clear this with your doctor. Being pregnant will leave you more sensitive during and after your wax. a. You are using any Retinol products i.e. Retin A, Renova etc. on your bikini line or brow area. b. You are using Accutane. c. You have any kind of sunburn, laser burn, pustules or breakouts on the area to be waxed. d. You are diabetic. However, Kristen can wax you if you feel you will be non-reactive. Expect Kristen to ask you (via form) to disclose any conditions you have that could conflict with waxing. Also, please, please freshen up before your appointment (wipes in the restroom and waxing area). Kristen follows the rules of the Pennsylvania State Board of Cosmetology and likes to run a clean ship!! CAN I GO TANNING BEFORE OR AFTER A WAX? It’s best not to. Your skin will be too sensitive. Remember, waxing is an exfoliation so it's likely your tan will lift. However, airbrush tanning after a wax is fine. Unattended children will be given espresso and a free kitten. Just kidding. Even though Kristen loves children, due to safety considerations and limited space Kristen would prefer that you leave them home with a sitter. However, if you must...there's cartoons available as long as they won't interfere with the service. This includes crying, screaming, kicking, tantrum-ing, etc. "I work best when servicing clients, uninterrupted and my attention is fully yours, undivided. Unless babies and/or small children are attended by another adult, I ask that you not bring them during the appointment." WHY IS YOUR “NO SHOW” AND “CANCELLATION POLICY” SO STRICT? There are always going to be reasons why you can’t make your appointment. A phone call or email (within the 12hr compliancy window) is all she needs from you. There are some who just simply don't show for their appointment, which is rude. It is also inconvenient, as she could have put somebody else in that spot. There's a wait list of people wanting to get in, so really, if you can’t make your appointment, just give her a holler as early as you can so that she can accommodate somebody else. When you run more than 15 minutes late for your appointment please be prepared to wait when you come in or have a shortened service. Kristen is usually only late for you when someone ahead of you is late, but she does an outstanding job of keeping that likelihood to a minimum. There can be several reasons for this. If you are using skin care products that contain salicylic acid, glycolic acid or alpha hydroxyl acid (AHA) of any kind, these can cause the skin to lift while waxing. Another cause is exfoliation, (gentle to aggressive, i.e. mild facial scrub to microdermabrasion or a chemical peel). Prescription medication such as antibiotics, accutane, retin-a, renova, strivectin, proactive and Avage can cause thinning of the skin which results in lifting during waxing. My recommendation is that if you are unsure about what you are using, just ask. But it is still difficult to predict how every skin type will react no matter how many precautions are taken. What is the difference between getting waxed here or just going to the nail salon? There are MANY reasons that a person should avoid getting waxed at a nail salon, but simply ask yourself a few questions about your waxing experience there: 1. Did they ask you to fill out any information about your skin or any products you are using that might contraindicate waxing procedures? 2. Do they double dip their sticks into a wax pot? 3. Do you know that “waxing” falls under SKIN CARE and not NAIL CARE? It may be quicker or cheaper, but keep in mind: your skin and your health are with you for the rest of your life. Treat it with the utmost respect and safety. Is there anything I should do to prepare for waxing? Yes! There are a few options. If you are a female client, schedule your waxing service the first 2 weeks before/after your cycle. Your sensitivity level is a lot less during this time. Avoid caffeine and alcohol as these can stimulate, making you more sensitive and increase redness after waxing. Pregnancy also increases sensitivity. It depends on the person and the skin type. For most people the redness is mostly gone after 30 minutes to an hour. Avoid perfumes, scrubs and other irritants the day of your service. For brides or if you are going to a special occasion, I recommend waxing a two months before to see how your skin reacts. If everything is fine, schedule another wax three to four days before your event. NO! NO! NO! NO! It is best to leave the hair as long as possible before waxing. The longer the hair, the easier it will be for the wax to grab on to it. Sometimes trimming causes the hair to be too short; leave it to me! Can you wax ‘mature’ skin? Yes. However, Kristen is cautious not to wax those on certain medications or anti-wrinkle/anti-aging creams. These creams contain ingredients that make your skin “lift” which could appear similar to a thin burn. Ingredients in these products are retinol, alpha hydroxyl acids, tretinoin, bleaching agents like hydroquinone. If you are unsure of what service you would like to have done, feel free to discuss it first to ensure you're booked for the proper amount of time. Do a lot of males come in for waxing? Yes. About 50% of the clientele here are men. What should I do in between appointments? Exfoliate! Exfoliate! Exfoliate! To ensure your next wax is smoother and prevent ingrown hairs, it's suggested that you exfoliate regularly in the shower. By doing this, dead skin and oils are removed from the surface of the skin so the hair is able to grow back evenly with minimal irritation. If your waxing appointments do not coordinate with your monthly schedule, tweezing is a quick fix. I strongly advise clients not to shave in between visits because shaving disrupts the hair growth and will make your next wax more uncomfortable. But let’s stay away from the razor! 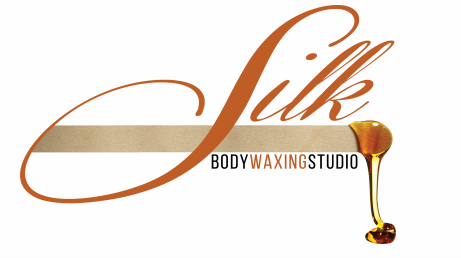 Why come to Silk Body Waxing Studio vs. other salons? Skin is most important aspect of the body. You and your skin are best friends for life so why not treat it right? Kristen is a licensed professional that has studied skincare and hair removal with over 8+ years of combined experience! She uses top-grade waxes designed for sensitive skin and maintains extremely sanitary protocols for every services. She's great at connecting with clients and easing their concerns so there's little to no awkwardness. If you're currently using any of the following Rx medications, discontinue use for a minimum of three (3) months prior to waxing. If on Accutane, stop use one (1) year prior to waxing. If you are using any of the following. The following products can make your skin more sensitive. Thin, sensitive skin is more vulnerable to lifting and sensitivity during waxing. No waxing if you have had a laser skin resurfacing within the past year. You’re pregnant, taking birth control, hormone replacement, or antibiotics. Your skin may be more sensitive to waxing.